(map) Mamma mia! It’s not all about German food in Fredericksburg. 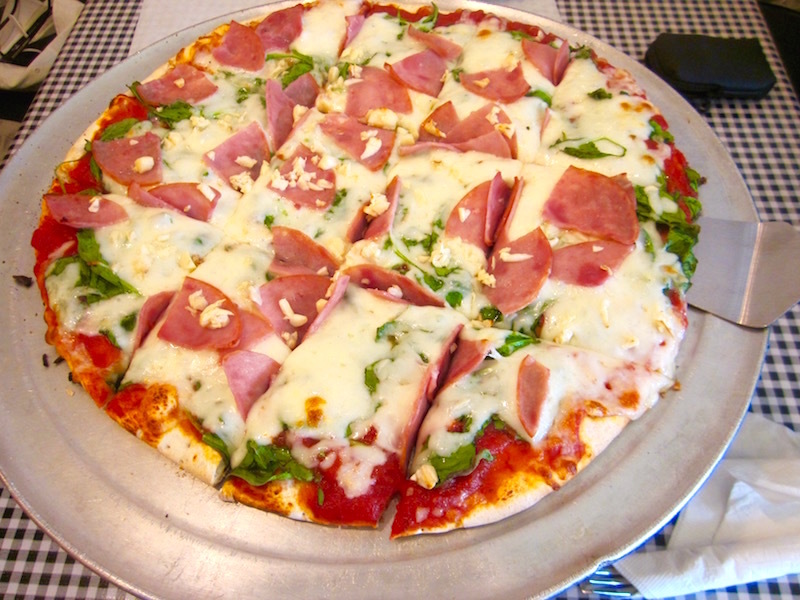 Next time you find yourself on Main Street, check out the brick oven pizzas and Italian specialties here. Above, a custom-made Canadian bacon-spinach-garlic pie, loaded with toppings. There are signature pies, too, like BBQ Chicken, Mega Veggie, and Chicken Parmesan. That’s amore! 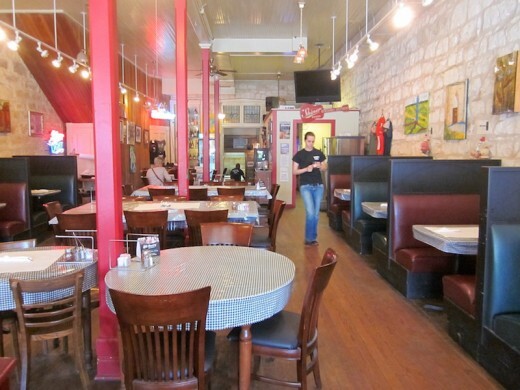 The restaurant is in a cozy vintage building right on Main Street. They’ve got a bar and courtyard next door, with happy hour specials and live music on weekends. In addition to pizzas, they serve soups, salads, sandwiches and pasta dishes like ravioli, spaghetti, and lasagna. Buon appetito, y’all! 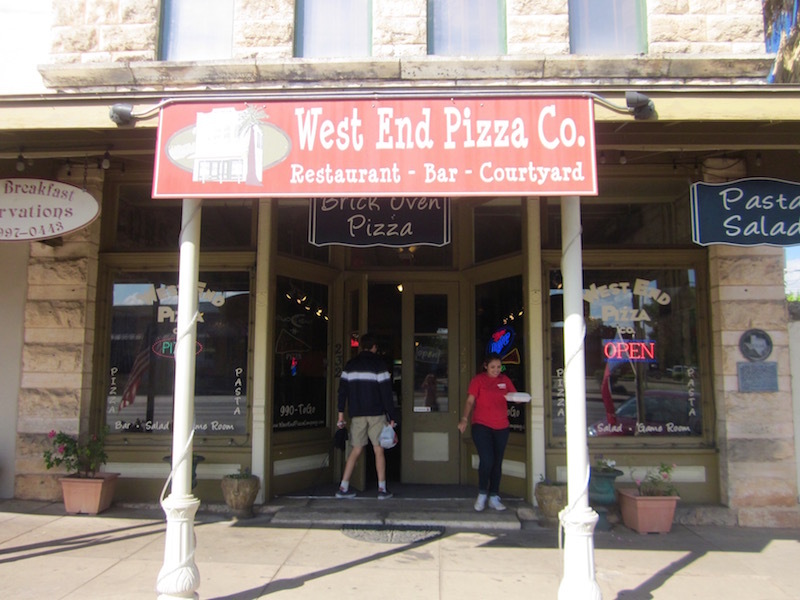 1 Response to West End Pizza Co. The pizza looks amazing! Can’t wait to head out west to try it.